Here at IARP, we LOVE our volunteers! 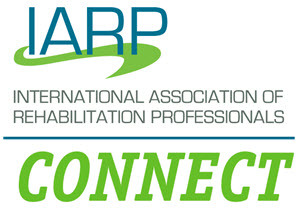 Volunteers are integral to the International Association of Rehabilitation Professionals' success. Our goal with our new volunteer management system is to capture all our volunteer opportunities and establish a simple process for engaging volunteers. Being part of IARP's Volunteer Pool means that you are interested in learning about future volunteer opportunities available through IARP Connect. When you've opted into the pool, you will receive email alerts as soon as a new opportunity opens up that matches your qualifications and interests. Opting In is easy- with one click, you are added to HL's Pool of Volunteers. This means that when new opportunities come up, you'll be the first to learn about them.